There are moments when you would like to privately know information about your children, spouse, colleagues, relatives etc, and Smart Phones seem to be an easy way to go about it, since it’s an integral part of one’s daily routine, contacts, where about and a source for much more information. This is where Apple iPhone Spy Apps come into play, these apps help you to get information like call history, surrounding, Location traction via GPS, chat history and much more from any iPhone. It only takes 5-10 minutes to bug an iPhone with these iPhone Spy Apps and you can easily check any type of information from a standard browser without the person knowing it. You might also check cydia apps or must have iPhone apps. Yet another efficient stealth iPhone Spy app which allows you to keep track of targeted Apple iPhone and a lot more. The App allows you to look for call registry along with all the details plus you can also reverse look-up the contacts for more information. This app can also do some James Bond stuff like you can send an SMS to the iPhone to activate the Microphone and listen to surrounding and conversations happening around the iPhone and automatically save all of them to be retrieved later through your Stealth cub account. The app not only can track the device using GPS but also using Wi-Fi or mobile tower signals in case GPS is unavailable. 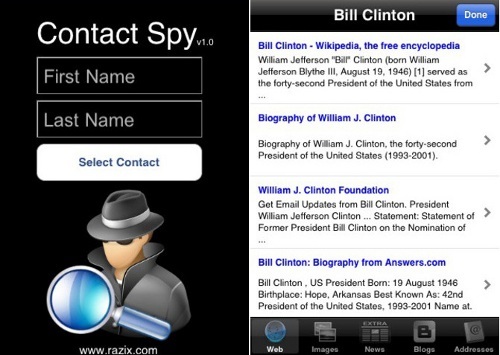 The App also has other spy features like chat, email, browsing retrieval and much more. 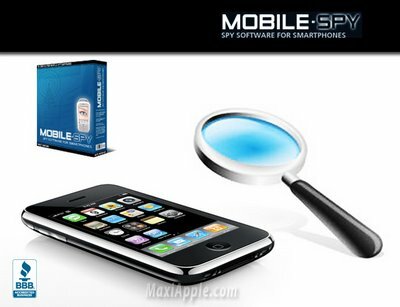 This iPhone Spy app is the ultimate way to privately spy an iPhone due the enormous options and functions you can perform to squeeze maximum information from the desired Apple iPhone. You can check iPhone’s location with thhe help of GPS tracking, record incoming/outgoing SMS messages, view emails sent from the iPhone, view (and download) pics snapped from the iPhone, see all the browser history and view the iPhone’s call history and much more while the app is in stealth mode. The app is available on subscription basis and you can extend the Spy control to your PC by paying some extra bucks. You can also use this tool to check if anyone is using gambling apps for iPad or iPhone. 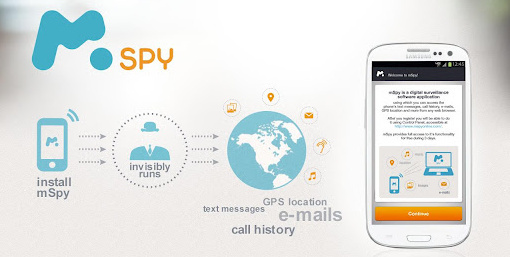 Contact spy helps you to find more information about person in your contact list or someone you just met and remember only by name. The app collects information from Web sites that mention and/or refer to your contact, or uses the image of your contact to look for more information. It can also bring forth News of your contacts and search for Blogs that mention your contact’s name and finally if your are in US, it can even give you Addresses of your contact. This iPhone Spy app is more of a Spy Camera app and Crowded Road claim it to be ‘The only application approved and used by real private investigators‘. The app allows you to use various customizable options to define when and how you want your photos or videos to be taken using your iPhone. You can use various triggers to activate and start shooting Videos and photos like Frequency capture helps you to set frequency and time of photo to be taken. There is also an option to activate camera when a movement is sensed, or noise reaches a certain pre-defined threshold and you can also activate the stealth mode to turn off your iPhone’s display when the app is on. Mobile Me is an easy way locate an iPhone using GPS service by simply downloading this app on an iPhone and then enabling ‘Find My iPhone’ in Mobile Me settings. After you have done this, you can easily log on-to your account at me.com and view location of the iPhone without prompting the user to accept the request. You can then track the location of this iPhone with an additional feature of seeing contact details. We haven’t updated this post in a while, so we decided to scout the web and look for other fresh iPhone spy apps. Below are the 2 new best choices we found so far. It is a top-notch cell phone monitoring software available across all the popular multiple platforms like Android, iOS and BlackBerry. mSpy is one of the prevalent online application that aid in monitoring your children and employees smartphone activities round the clock. The application can adequately be used once installed onto the target user’s smartphone and the process of installation only take ten  minutes. 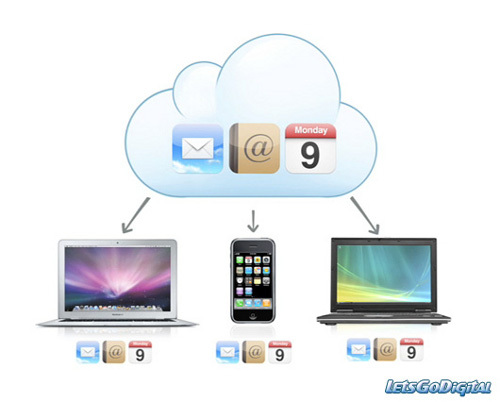 With this software you can track multiple phone actions of your target user such as – tracking the text messages, phone call logs, emails, phonebook contacts and calendar. Also discover the current GPS location and know what are they browsing while surfing the internet all day long. In conjunction with these aspects you can also flip through the popular Instant messenger [IM] chats on WhatsApp, Snapchat, Viber, line and facebook messenger etc. Price: subscription packages start from $29.99 and goes upto $199.99, which are valid for either 1, 3 and 12 months. Listen to live calls – With the aid of this feature you can easily intercept live calls without letting the target user to know about it. Record Calls – It is an another useful feature when you can’t listen to the live calls. However, with little limitation to the mobile model specification, you can be enabled to listen the recorded calls from an authorized account. IM Chats – FlexiSpy asserts to invariably monitor the thirteen popular Instant Messenger chat platforms which are WhatsApp, Viber, Facebook, Line, Snapchat, Skype, WeChat, Google Hangouts etc. Although the calls cannot be snooped but the call logs can thoroughly be checked by you with the details of phone number, date, time and call duration. Listen To Phone Surroundings – It is one of the smartest feature to hear what your target user is saying through their own smartphone while it is idle. Just by discreetly calling on your target’s phone you can enable this feature . Apart from these eavesdropping features, Flexispy has many more aspects to proffer for Monitoring employees, children and spouse. It is comprised of two subscription packages which are mentioned as below. Is it possible to track my android phone with my iphone ? Usually, iPhone spy software records text messages, tracks call information, monitors social media and tracks GPS location. It also blocks apps and gets SMS for phone activities. 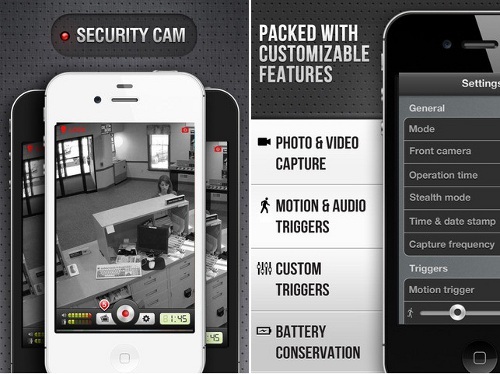 I bought iKeymonitor, which is an easy-to-use and powerful iPhone spy software at a reasonable price. It has not only general spy features, but also records Facebook/Gmail/WhatsApp/Youtube activities. It works in stealth and it is very difficult to detect. Besides, it is safe to use and their tech support is very responsive.